Once being discovered by mass-tourism in the late sixties, there has been an exponential growth which clustered into one of Spain's biggest holiday resorts. At the Costa del SOL you find the biggest offer of holiday activities in whole Europe with beaches, hotels, restaurants, bars, discoteques, theme and water parks, casinos, golfcourses and the harbour of Puerto Banus at Marbella. Beyond Manilva you find the town of la Línea de la Concepción, Gibraltar (UK) and the port of Algeciras, which belong to the province of Cádiz. Although the are still on the Mediterranean coast, they officially do not belong to the Costa del SOL anymore. Finally, at Tarifa, on the southern-most point of Spain and the southermost city of continental Europe, the Mediterranean sea merges into the Atlantic ocean and Costa del SOL converts to Costa de la Luz (the Coast of Light aka "the forgotten coast") which has a completely different character. The beaches and towns are still more in their original state and since it is not as exploited and massified, and you can still find many quiet and almost untouched beaches and bays. To the east of Malaga City you find the towns of Rincón de la Victoria and Nerja. 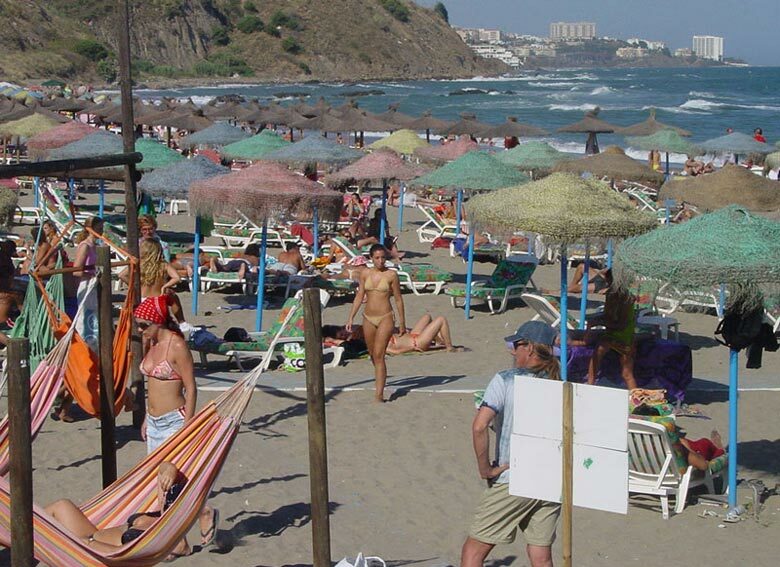 Beyond Nerja you reach the province of Granada and the Costa del SOL turns into the Costa Tropical (Tropical Coast).